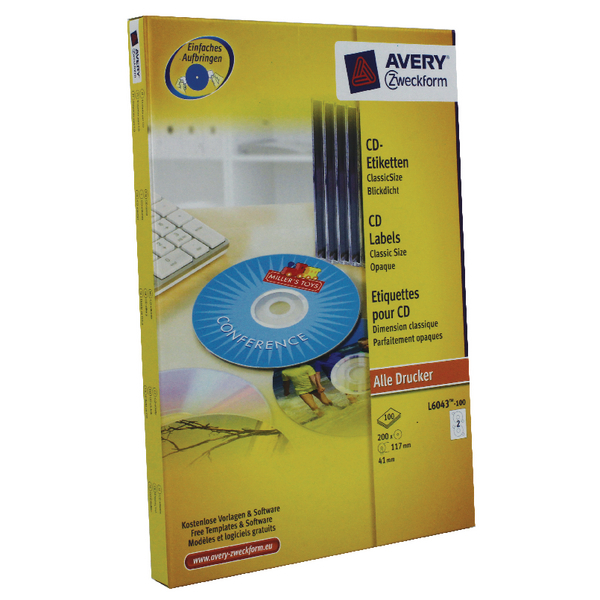 Avery classic CD Labels cover the whole surface of the CD except the transparent centre. 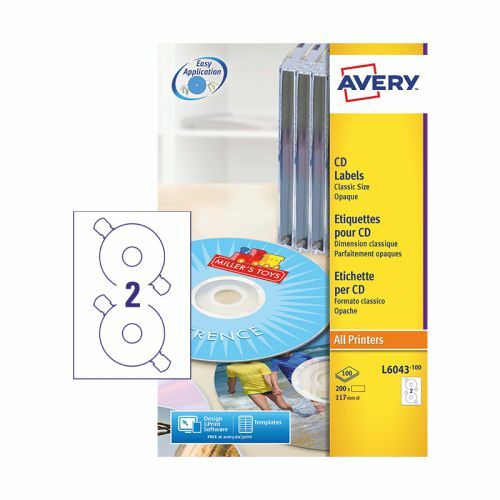 The labels are easily applied to CDs using the removable wings which help centralise the design without touching the label or CD so you can apply your design without any difficulty. 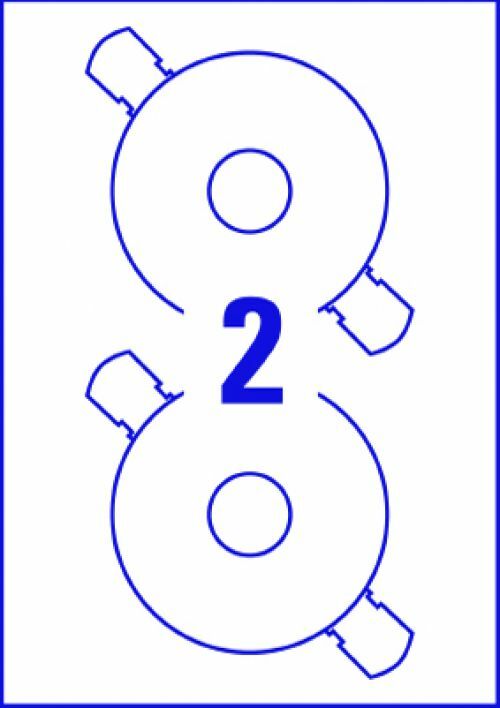 These come in 2 labels per sheet of 117mm diameter, suitable for printing in most laser printers. The excellent print finish on these bright white labels is clear and sharp either in colour or black and white.